Determining the price of your home can be very stressful. If it is priced too high you will get no showings and the home will languish on the market. Here are some factors that will help you understand the messages that come from the market place. Simply speaking, if there are few or no showings on your home the first two weeks the Agents are telling you, in no uncertain terms, that the home is too high priced to even consider showing to their potential buyers. Agents are the ones that help buyers decide which homes to consider and which to eliminate. If, on the other hand, you have a lot of showings an no offers the Buyers are telling you that the price is to high for them to consider. When this happens there is usually some factor that creates a negative response from the buyer. The most common factor is usually something about thecondition of the home that they find unappealing. Ultimately a contract or offer to purchase your home will set the value of the property. Regardless what you think the property is worth the buyer is the one that is going to decide what it is worth to them. If there offer is in the range of acceptability then you are on the road to establishing the true value of your home. Chances are you paid market value. Markets change and today We have to deal with the current market conditions which may have changed significantly. Improvements should be made for enjoyment, not resale. You cannot add an item to a home, select it to your style, use it, then expect a buyer to pay the original cost. 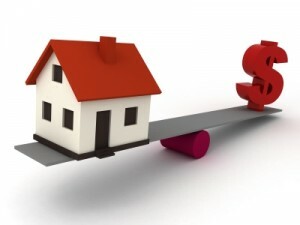 The owner’s need for money or the fact that the owner is moving to a more expensive area where they will have to pay more for a home has nothing to do with the home’s current market value.